« Pumpkin Patch Shop Hop Is Coming! Pumpkin Patch Shop Hop 2017 Is Coming! Seven participating shops will offer sales and store specials for all passport holders. Don’t miss the fun, the sales and, of course, the prizes!! Passports must be stamped in person at each participating shop Oct. 19-21 to be eligible for prizes and shop hop specials. 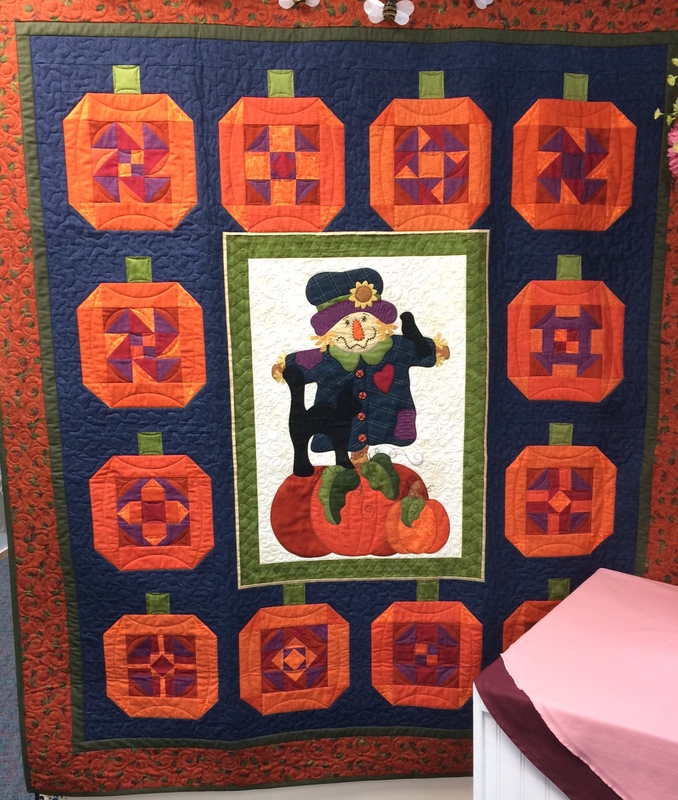 Watch for more details about the progressive quilt –– the concept is similar to last year’s OH-SO-POPULAR snowman quilt, except this year, it features our friendly scarecrow. This entry was posted on August 16, 2017 at 8:17 pm	and is filed under News. You can follow any responses to this entry through the RSS 2.0 feed. You can leave a response, or trackback from your own site.